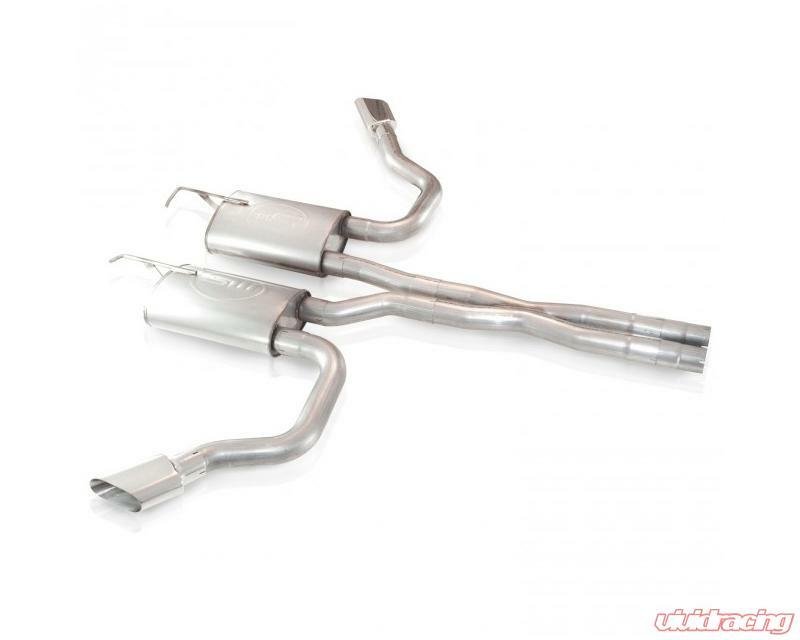 2008-15 Challenger SRT8/ RT 2-1/2" True-Dual Catback Exhaust System with X-Pipe, S-Turbo Mufflers and polished stainless steel tips. System includes all clamps and hangers. Fits slip fit factory connection point. Exits both sides in front of the rear tires.